Based in the same office in Cheltenham where we started in 1990, every member of our small team can help any customer or supplier with their deals. We have a wealth of experience; from brokering, finance and banking, to marketing, design and customer management. And we all make the tea! With so many years in the Brokering business, we have access to the very best rates and can get you the best deals around. We really do offer it all. Click the ARROW underneath the images to meet the various team members. Peter is the founder of Oxford Funding and has been a broker in the business since it started in 1990. 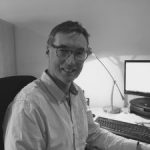 As a chartered accountant, and having worked in and run several businesses, he has the experience (and qualifications) to understand how businesses work and the type of finance they should be looking for. 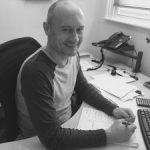 Peter works closely with The Oxford Funding Company’s dealers – equipment suppliers who offer finance to their customers – making sure that they offer their customers the right finance for each situation, and ensuring they comply with FCA (Financial conduct Authority) rules and regulations. Also, if customers have further funding requirements for their businesses, (ie: something other than equipment finance) then Peter specialises in sourcing the many other types of business finance on the market. Glin has been a broker at Oxford Funding for more years than he cares to remember (records show since 1999!) and is the ‘powerhouse’ behind the brokerage process. He shops around to get the very best finance deals for our clients and works to make sure that every customer and equipment supplier’s requirements are dealt with quickly and efficiently. Because he knows the market and lender’s products so well, we are often able to process finance applications within hours. Glin ensures all deals are monitored closely and clients are kept up-to-date at every stage. Glin’s aim: To keep our clients happy and wanting to come back for more! And he must be fulfilling this as a lot of our business is repeat business, with many clients referring their business contacts to us too. Kurt has been a broker at Oxford Funding since 2015. 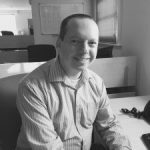 With a background in retail, Kurt has applied his skills in customer management to ensuring the whole process of getting finance for our clients is as easy and stress free as possible for them. He’s also a vital player in making sure our lenders have everything they need to put the deal through quickly, helping the process run smoothly and speedily. Kurt’s aim: To help our customer’s finance deals run smoothly – from the initial call to the end result. By doing this, we have happy clients and happy lenders and for our clients who offer finance to their customers through us, more sales! Sam is the Office Manager at Oxford Funding and is the cog that keeps us turning. Sam has extensive sales and admin experience and is extremely well organised, helping us to run a smooth and steady ship. Sam’s aim: To make sure that everything in the office runs smoothly, so that the brokers can operate with optimum efficiency. Harriet looks after our marketing at Oxford Funding. Harriet brings experience from 10+ years in marketing across the finance, retail and charity sectors. 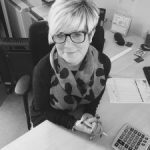 She’s keen to help us grow and most importantly, help our client’s businesses grow. Harriet has helped us embrace online and social media marketing; an area that we know will continue to grow in the future. We now want to help our clients maximise their potential online, particularly in relation to their website and how they can attract more sales by offering finance with prominent web banners advertising ‘Great finance available’ , or ‘Get this product for £13.50 a week’ etc. 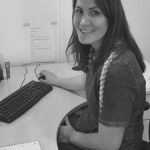 Harriet also looks after other aspects of our marketing, including emails out, designing posters and offline materials and ensuring we’re saying the right stuff in general! Harriet says; “We know we’re good at what we do and offer a level of service that other finance companies don’t. My job is to share this far and wide. Our clients love us and come back again and again, but we’re looking to reach and help even more businesses”. Harriet‘s aim; To get the word about Oxford Funding out there – helping more people have a positive experience with finance and helping more businesses make more sales. It’s all about more, more, more! Whatever you need, we’d love to talk to you. Contact team members directly by email, or call us on 01242 226662. All the ways you can contact us can be found HERE.